Divine Framed Photo Prints are ready to hang and fully assembled featuring matting and museum quality acrylic. 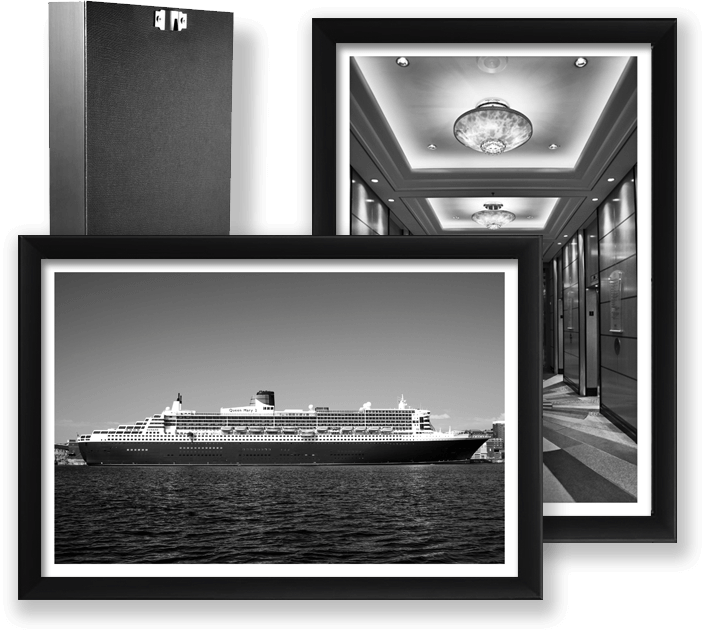 Divine Framed Photo Prints bring Cunard, Queen Mary 2 and ocean travel into your home, office or any space. J D Schwartz’ black and white photography makes for a nostaglic yet contemporary look and feel and complements any interior design application or environment. Canadian and UK shipping coming soon!